There are a wide variety of specialty printing techniques available for consumers who are interested in setting their printed products apart from the ordinary masses. 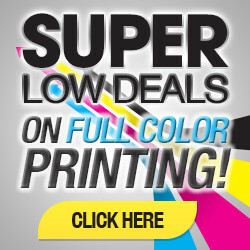 One of the most popular based on its high impact, affordability, and versatility is spot UV printing. Although, technically, it’s not a “printing” technique but a coating technique for printed materials. Spot UV printing sounds pretty space age, but the technique itself is not so very complex. 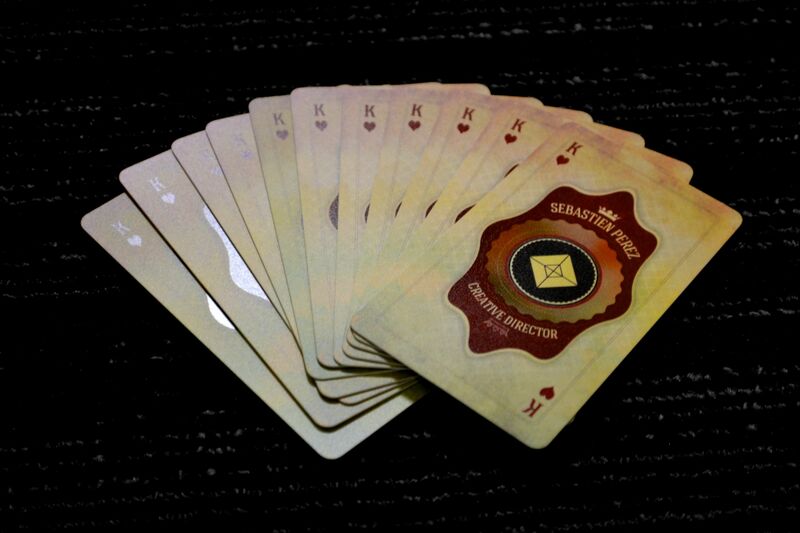 Probably the most high-tech aspect of the process is the fact that it utilizes UV light to “cure” a varnish that is applied to paper or cardstock. This varnish can be applied to plain white cardstock, but is often applied to coat color-printed paper products, sealing in their color, adding shine, and protecting the printed surface underneath from moisture and other types of damage. The UV coating process is minimally volatile, meaning little to none of the varnish escapes as a gas into the atmosphere. Basically, this just means the process does not contribute to environmental pollution. UV coating can be applied to achieve either a lightly glossy appearance, or a high-gloss shine, depending on the application technique. Business cards, flyers, and other heavier weight papers or cardstocks are best combined with UV coating (as opposed to thin paper). UV coating can be applied to the whole page, or just to certain areas – a process commonly referred to as “spot” UV coating. In either process, the UV coating has the potential to deepen the color of the print, so when you use it in print projects, it’s a good idea to take this into consideration. Printed on thick, durable 16 pt cardstock and available in sizes from 4”x6” (standard photo size) to 8.5”x3.5” (elongated like a big bookmark) and quantities from 1,000 to 5,000, 16 pt matte cardstock flyers with spot UV are an excellent way to add pizzazz to your marketing initiatives. Not enough businesses get creative with their brochure designs, but you can stand out from the crowd when you add strategically placed shiny UV accents to targeted areas of your brochure. These brochures are available in a wide variety of sizes and two different fold styles: tri-fold and bi-fold. 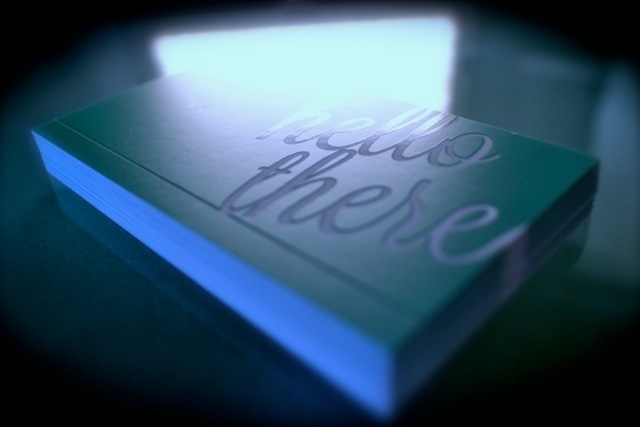 Use spot UV accents to draw attention to your brand’s name, logo, or any other design element you choose. We think this is one of the “flyest” products we offer, and customers seem to agree. 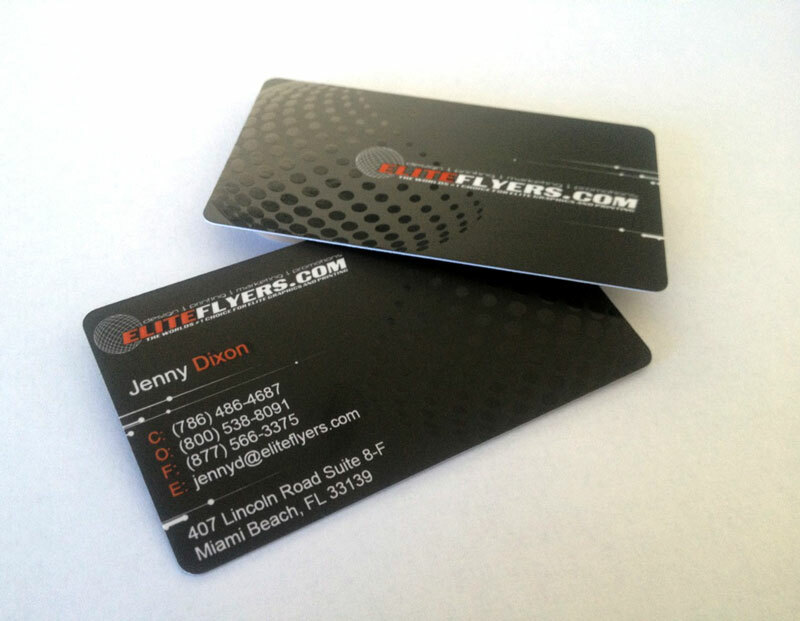 Not only that, but EliteFlyers.com has the most competitive price on the market for these specialty business cards. 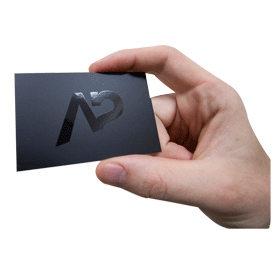 These silk business cards with spot UV start with a base of silk lamination, which is basically a thin plastic film chemically bonded to your business card, lending it a silky look and feel, and making it waterproof and tear-proof as well. Add to this already good-looking base some added spot UV highlights, and you’ve got a business card that puts other business cards to serious shame. Add foil stamping for yet another level of cool. EliteFlyers.com offers these and other products that incorporate this eye-catching coating. Don’t be afraid to try something new; when it comes to your marketing materials, people really do notice, appreciate, and respond to – the little things that show you went the extra mile. 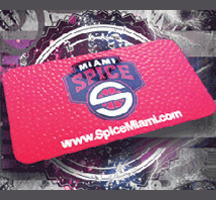 Here are several more examples of spot UV printing by Elite Flyers.